On the occasion of the final day of negotiations at the 2015 Paris Climate Conference (COP 21), Montreal Sound Ark decided to give most of this week’s show over to those Canadians with the most to lose if drastic temperature rises occur: our aboriginal communities. 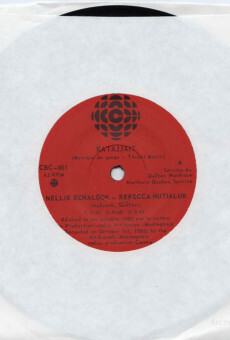 Most of the material comes from 45s, EPs and albums from the 1960s to the mid 1980s, an era when Canadian music of all kinds matured, including that of aboriginal performers and songwriters. Canadian record labels put out records by some of the better known aboriginal performers during that time, such as Willie Dunn, and many others were documented on albums, EPs and 45s released by institutions such as the CBC Northern Service or the Fédération des Cooperatives du Nouveau Québec. 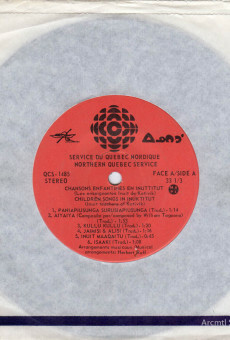 Interest in Canadian aboriginal music from that era increased in 2015 after the release of the well-researched compilation, Native North America Vol. 1, as well as a cassette in the Mississippi mixtape series, Inutulunga. 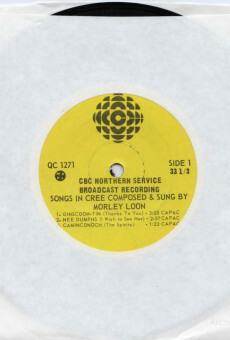 Morley Loon hails from the Northern Quebec village of Mistissini (in what was then Baie-James, now Eeyou Istchee). 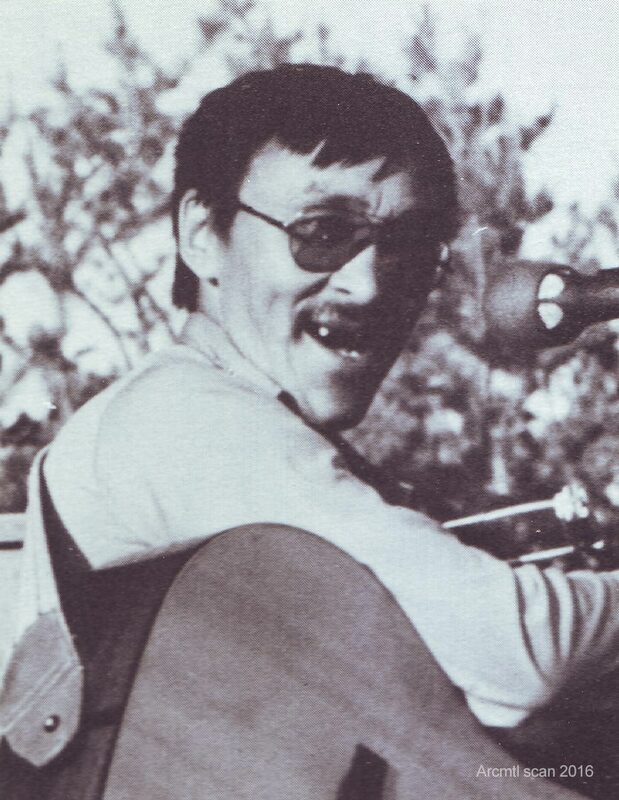 He began singing and touring in the late 1960s, composing in the Cree language. He was in the cast of Cold Journey a 1971 NFB film drama. 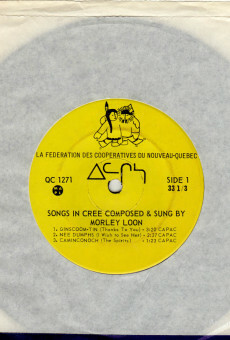 Loon was an active part of the Canadian First Nations political movement and participated in protests over the sale of First Nation artifacts at a Montreal auction. 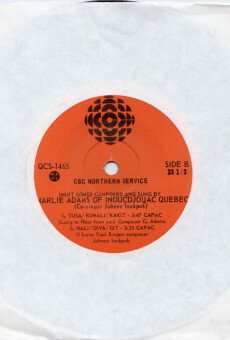 He recorded two albums with the CBC’s Northern Service in 1975 as well as a studio album, North Land, My Land, with Boot Records in 1981. He was the first Cree language performer to see significant radio airplay in Canada. 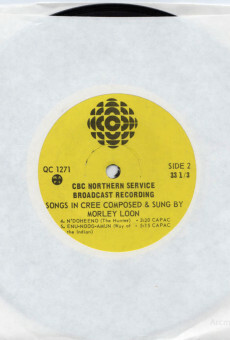 Loon influenced other First Nations musicians, such as Lloyd Cheechoo and Kashtin, to sing in their own languages. 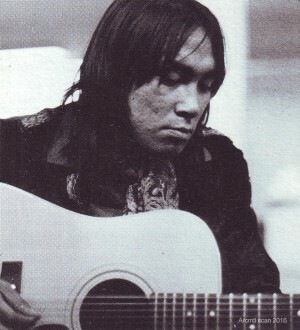 Cheechoo played backing guitar and toured with Loon in the late 1970s. 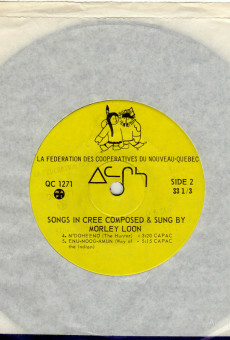 With Inuit musician Willie Thrasher, Loon formed Red Cedar, based out of Vancouver, British Columbia. Loon died at age 38 in 1986 after suffering a lengthy illness. Willie Thrasher is an Inuit musician from Aklavik, Northwest Territories. 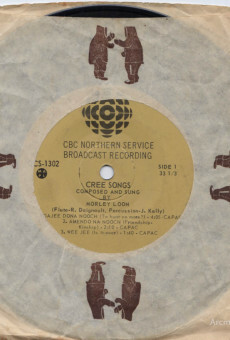 He has recorded both as a solo artist, and as a member of several bands, including the Cordells, and Red Cedar, with Morley Loon. Thrasher has advocated for Inuit and First Nations issues for much of his career. He was born into the traditional Inuit hunting culture of the western Arctic; his father was a whaler and hunter. At age five, he was removed from his family and placed in the Canadian government’s residential school system. Thrasher learned to play drums on a kit in the school gym. A fan of Beatles drummer Ringo Starr, Thrasher formed a band called the Cordells after high school with his brother and friends. 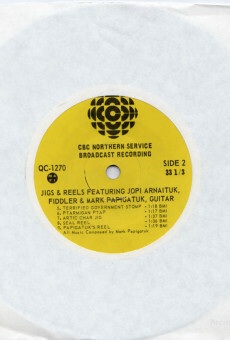 The Cordells toured northern Canada in the late 1960s and early 1970s, playing schools and community halls. 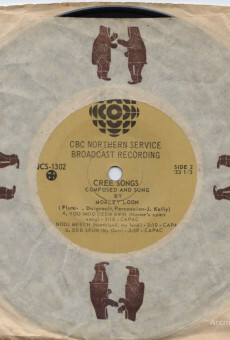 Based out of Inuvik, they were considered the town’s first rock and roll band, and played mostly contemporary songs and covers. By the mid-1970s, Thrasher joined other Canadian artists such as Buffy Sainte-Marie and Willie Dunn in exploring their roots and speaking out on political issues. Thrasher toured heavily in this period, and suffered from alcoholism. 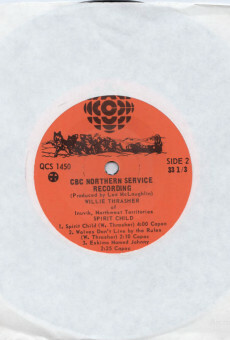 In the early 1980s, Thrasher made two recordings with the Canadian Broadcasting Corporation’s Northern Service: Spirit Child, a full-length studio album of original songs, and Sweet Grass, a live recording in Val-d’Or, Quebec, with fellow First Nations musicians Willy Mitchell, Morley Loon, and Roger House. 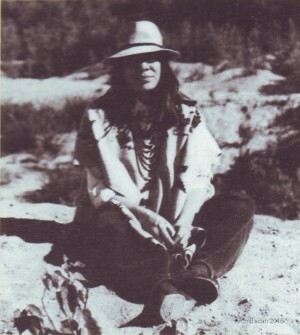 Thrasher joined Morley Loon as part of his Vancouver-based Red Cedar group in the 1980s. In 1990, Thrasher participated in the Odeyak expedition, where Cree and Inuit leaders paddled from Quebec to New York City to protest the Quebec government’s planned Great Whale hydro development. A song composed by Thrasher was performed in Times Square by the group. Thrasher currently lives on Vancouver Island, in British Columbia. His songs are featured on the 2014 compilation album Native North America, Vol. 1. As a result of the revived publicity, Thrasher has undertaken more extensive touring, including festival dates in Austin, Texas and the Northwest Territories, and his 1981 album Spirit Child was reissued in October 2015 on Light in the Attic Records. William “Willie” Dunn was a singer-songwriter-guitarist-producer born in Montreal of mixed Mi’kmaq and Scottish/Irish blood. 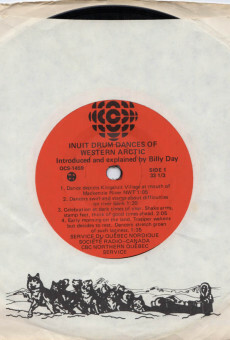 Dunn often highlighted aboriginal issues in his work. Willie began singing in Montreal coffee houses like the Fifth Dimension in the early ‘60s and by 1965 even ran his own downtown club called The Totem Pole. He released several full-length albums including Willie Dunn (1971), The Pacific (1980) and Metallic (1999, which reprises material from both earlier releases). In 2004 Dunn released the album Son of the Sun with sixteen songs (including three live versions). In 1968 he wrote a song entitled “The Ballad of Crowfoot” and directed a ten-minute NFB film of the same name. 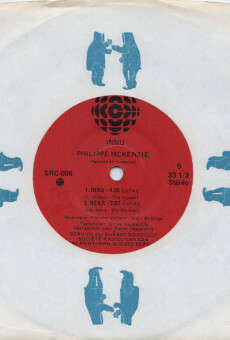 Both the song and video are about inhumane and unjust colonial treatment of aboriginal Canadians, as well as their becoming politically active. His other films include The Eagle Project, The Voice of the Land and Self-Government and his music was used for the films Incident at Restigouche, about a 1981 police raid on the Listuguj Mi’gmaq First Nation and Okanada, about the 1990 standoff in Oka, Quebec. He was inducted into the Aboriginal Walk of Honour in 2005. Dunn died on August 5, 2013, aged 71. Watch a vintage Willie Dunn’s performance from CBC television show Song of Man. Visit Willie Dunn’s Wikipedia. David Campbell. In the geography of Guyana’s music, Kabakaburi is part of a very special region. It has a distinctive music created by Arawak and Spanish heritages. This is the place of the mari mari, the crapaud dance, and the round dance – accompanied by violin, mandolin, quatro, and shak-shak. Campbell immortalized this region in the song Kabakaburi Children, one of the most lyrical and poetic songs from the Guyanese song book. He calls on the people never to forget their cultural heritage. These themes of justice, harmony with nature, and pride resonate throughout his impressive body of work. 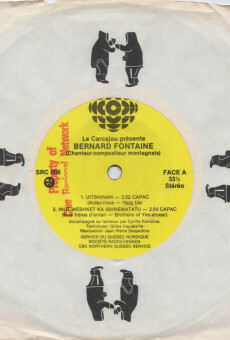 In the early ‘70s he released the Through Arawak Eyes LP. His «No, Not Columbus» from Through Arawak Eyes became an anthem and was quoted across Native American communities. Charlie Panigoniak is an Inuit singer-songwriter-guitarist whose albums reflect on northern life. His father gave him his first guitar when the musician was 21. This guitar was made from a tin can. It allowed Panigoniak to become a “skillful manipulator of the country music idiom”. In 1967, Panigoniak had to travel to Brandon, MN to receive treatment for tuberculosis. This excursion to a big city not only opened the musician’s eyes to new forms of music. It also gave him the opportunity to buy his first real guitar. His songs often concern his friends, family and everyday occurrences and events from his life. 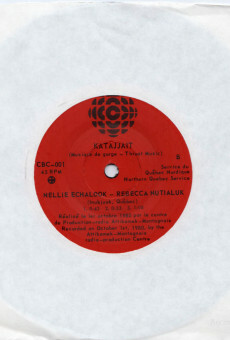 These songs are written in the Inuktitut language. 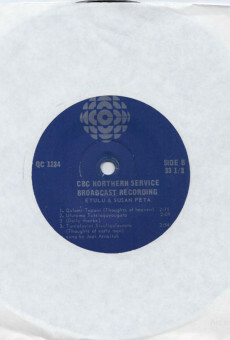 By the time he was 30, he was already a prominent performer of Inuit music in many different Inuit communities around what is now Nunavut. In 2012, he was awarded the territory’s highest honor, the Order of Nunavut and was named “ambassador for our territory and its people”. Hailing from the 69th parallel in the Arctic is a story unlike any other. 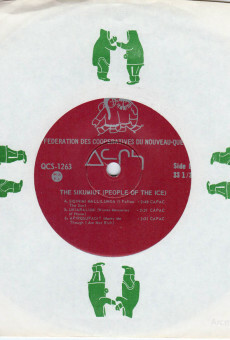 Born on the land to Nomadic parents and later settled in the hamlet community of Igloolik, these childhood friends grew up learning to play on toy instruments until becoming accomplished musicians and forming a group in 1977. 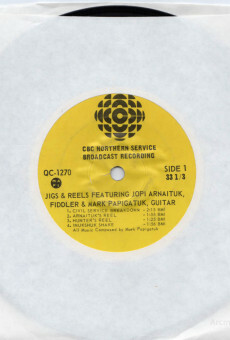 Their talent won success in the early ’80s with contests, press coverage, and tours of isolated Northern communities until in ’85, when CBC Radio invited them to travel 3000 km south to record an album. The result became the first Canadian Inuit Rock/Metal album ever made, and first Indigenous language rock album in North America. 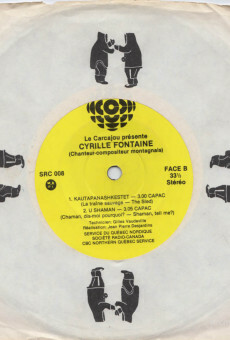 Pressed in a tiny quantity of 500 copies for promotional use only, the LP quickly disappeared. 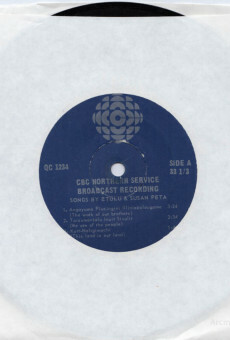 Travel grants and growing notoriety allowed the band (at first called Northern Lights) to travel around Canada. They slowed down in 1987, reformed in 1999, then Elijah passed away from cancer in 2007, and Kolitalik was murdered only days later. 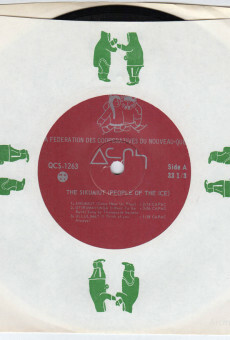 The group revamped with a few new members, and in 2009 Jason Flower of Supreme Echo Records discovered their music while researching Canadian Inuit recordings. Flower trekked out to the Arctic with a documentary filmmaker in tow, and in 2010, a new recording and a documentary film on the history of the group was produced. Complete with traditional “ayaya” parts and sung entirely in Inuktitut, the end result is a heavy melodic rock/metal album played by veterans of the genre with a distinctly original character. 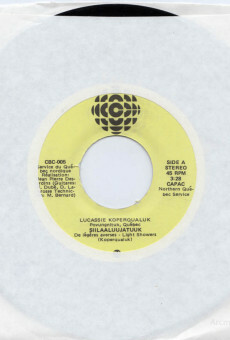 Sugluk were a Canadian rock band based in Salluit, Northern Quebec. 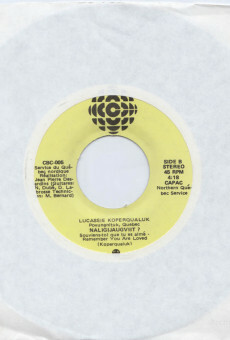 Led by singer George Kakayuk and guitarist Tayara Papigatuk, the group toured extensively through the 1970s and 1980s, and recorded two singles with the CBC’s Northern Service in 1975. 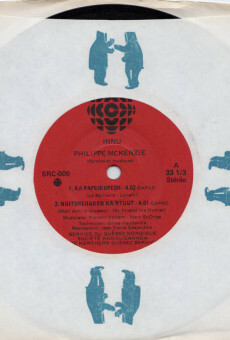 The band wrote songs in both English and Inuktitut. The group was formed in the early 1970s, and reunited in 2013.